A woman named Hannah, living in the tribal territory of Ephraim in the 11th century b.c., had a tough life. Not only was she unable to have a child; she was part of a polygamous marriage, and her rival wife had many sons and daughters and taunted poor Hannah cruelly because of it. Hannah prayed repeatedly for a child and nothing happened. But then—her miracle. She bore a son, a gift from God, and she named him “Sh’mu-El,” Samuel, which means “heard by God.” Whereupon she decided to do the most amazing thing, so great was her overwhelming gratitude to God: “When her husband Elkanah went up with all his family to offer the annual sacrifice to the Lord and to fulfill his vow, Hannah did not go. She said to her husband, ‘After the boy is weaned, I will take him and present him before the Lord, and he will live there always’”. Astonishing! 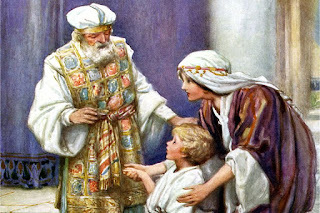 She took her little miracle boy to the town of Shiloh, current location of the ark of the covenant and altar of sacrifice to the Lord, and placed him into the care of Eli, the high priest. What a sacrifice! Even more amazing is the child champion who made the best of his new home. What a brave little man! Do you suppose he ever cried, “I want my mom!”? 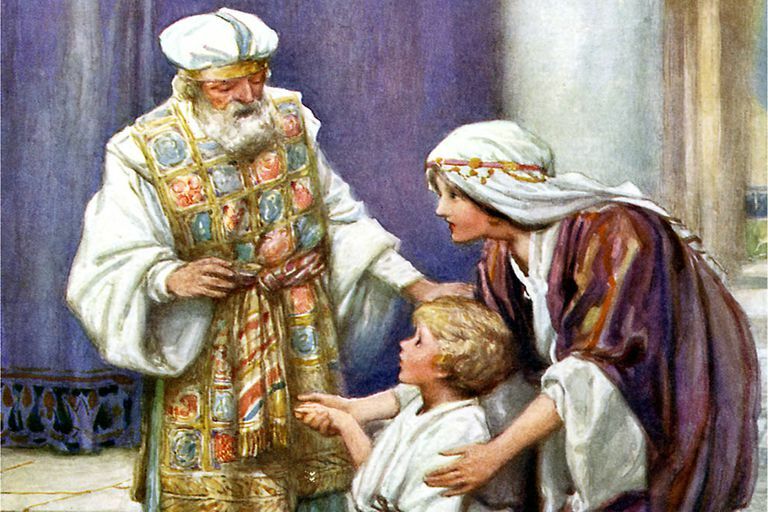 Samuel grew up to be one of the greatest prophets in Israel’s history. Dear Lord, help us to be like Hannah and see our children as gifts from You. Help us to teach them to love and serve You. In the Name of Jesus, Amen. What Is God’s Purpose for Your Life? How is your thanksgiving factor?